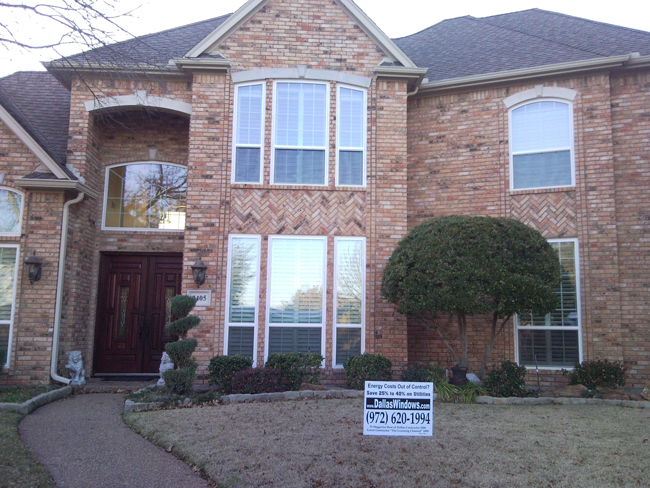 Replacement Windows Dallas Texas What's out there and what's the difference in windows? What are the differences in builders windows and replacement windows? 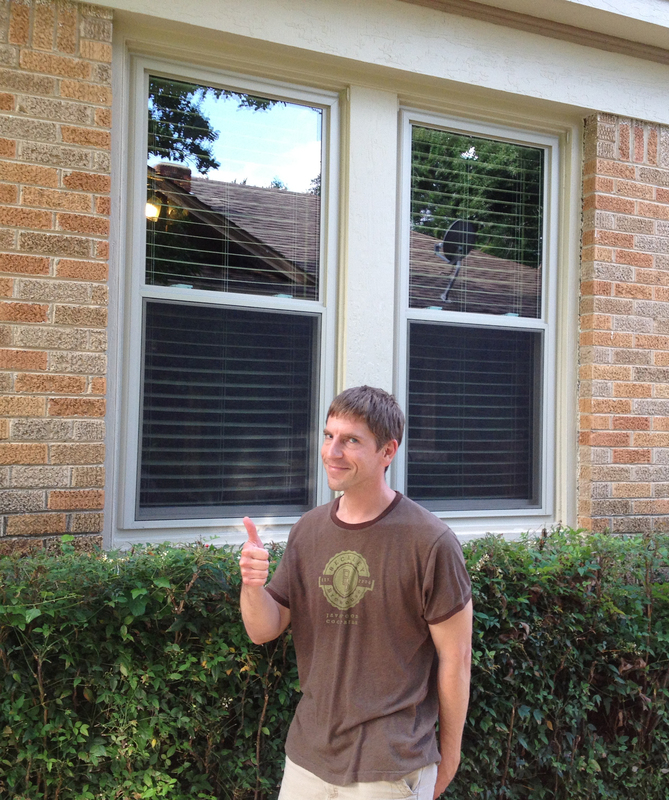 As an award winning window and door installer, I got those wonderful accolades from getting sweaty and installing replacement windows from anyone and everyone in North Texas and especially Dallas. I've got some pictures and some thoughts on several manufacturers that are available in our area. I've installed dozens of each of these products so I do speak from experience. 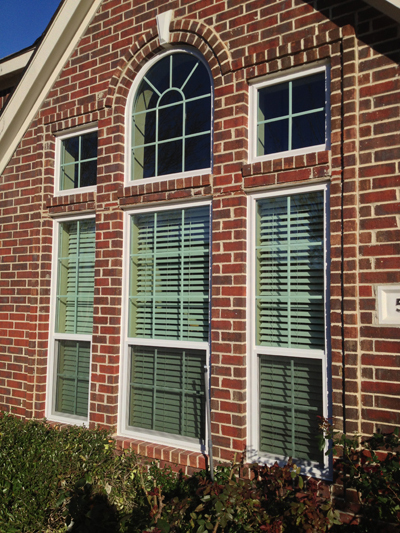 I hope you find the perfect replacement window for your home, and even more, that you decide to trust me with that important project so we have all the details just how they should be. That being said.... Do let me know how to help best! A Fort Worth favorite with a soft spot for Dallas! The biggest plus for this replacement window overall is the glass size. 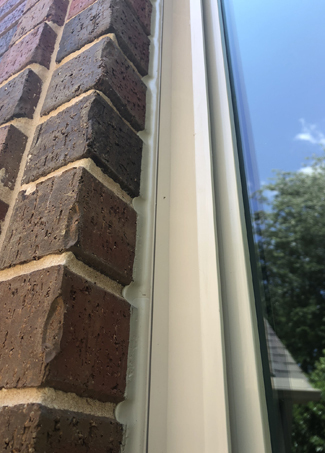 Most vinyl replacement windows have a frame of up to 3 1/2" all the way around the window that is frame, leaving considerably smaller glass size than was previously there. 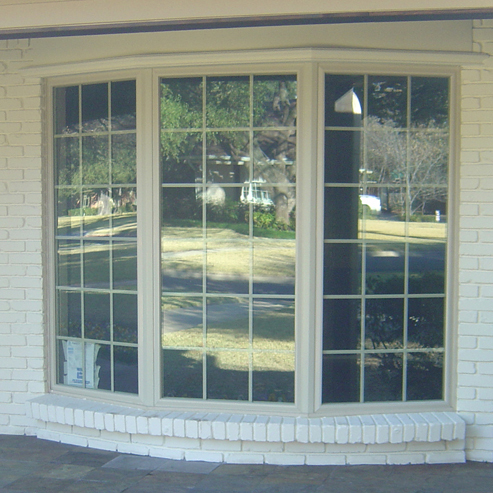 We have so many 24" wide windows in Dallas it becomes a considerable factor in selecting a replacement window that doesn't diminish the light. Also a factor if you already have a home that is a bit dark overall. This is really prevelent in replacement windows made of vinyl moreso than aluminum. Wood windows always have massive frame thickness. With this one we went tempered picture windows for the replacement windows instead of single hungs as were there before. If you can, find the before and after page as I think it's one of the neatest on my site. This one gets some pretty mixed reviews. Usually they're about the installation as it's double hung is a mainstay of one of the worst providers out there. They try to come in cheap and can't really get the good help it takes on the measure and installation side. I like the single hung. It's got good performance when using the single hung and the Elite Plus Glass Package gives us performance comparable to the Cardinal 366 Low E but it is a grey blue color instead of the Cardinal Green. That's a lot of information and it's helpful to know about glass colors as well as providers when making a call on replacement windows. 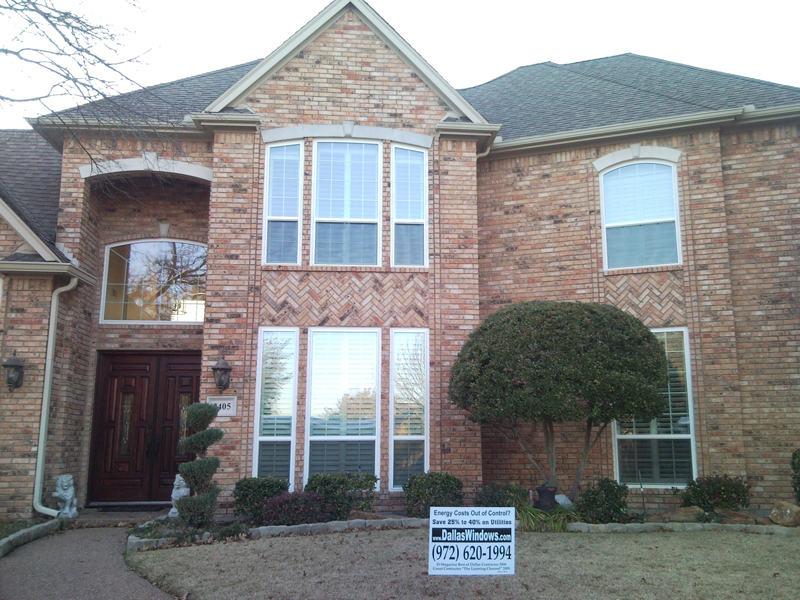 We're proud to have one of the best reputations in Dallas Texas for quality of workmanship. It's something we take very seriously. 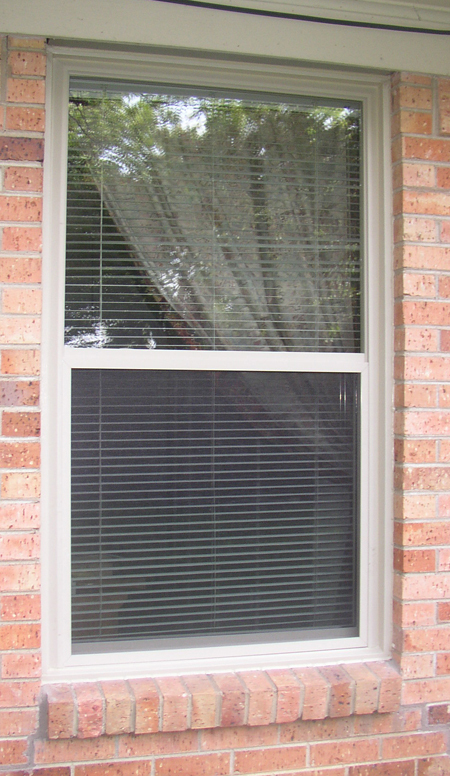 This shows casement windows, picture windows and the softer earth tone color of beige. This is a great call for home windows that have trees and foliage as it makes a more relaxed look on the home and a more docile appearance for the replacement window project. In the past builders grade windows always had grids and always operated up and down. Now things are a bit different. 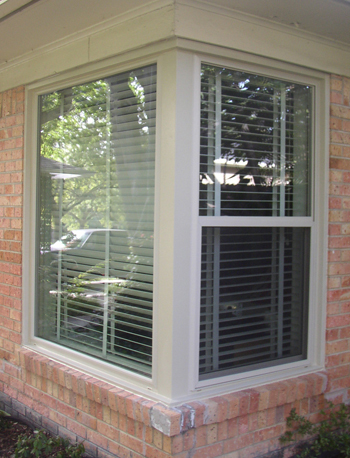 Most retrofit consumers of replacement windows are looking at picture windows and no grids. 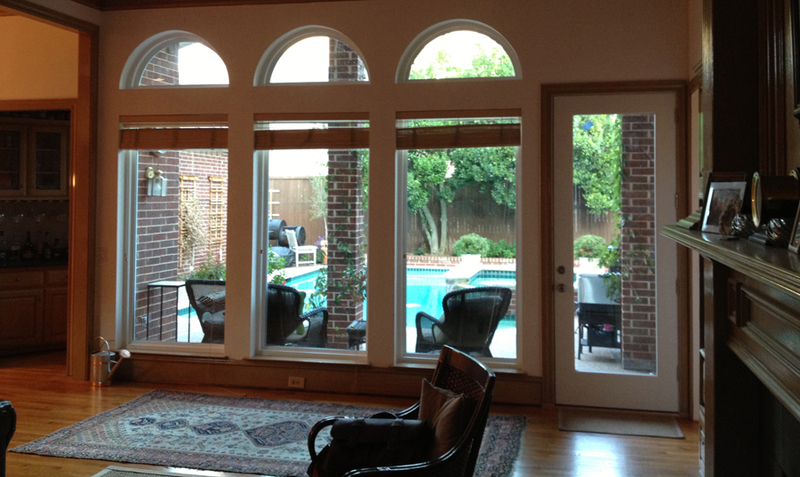 Picture windows to open up the view and get rid of the horizontal bars and no grids to open the view that much more and allow a nice view of the pool or outdoor living space. This was a wonderful example of that trend. The picture windows really look bigger than the grided single hungs and the look is a lot more modern. 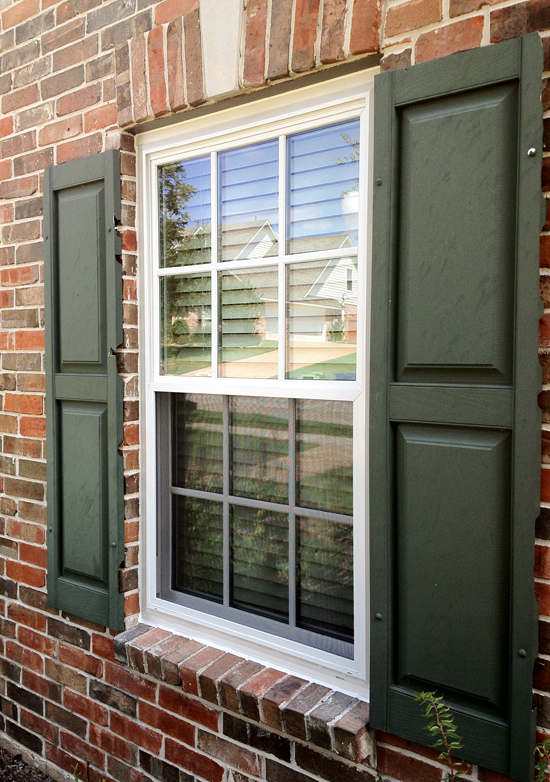 This is a good quality mid ranged cost type vinyl replacement window. I've sold many thousands of them over the years and have absolutely no complaints, service issues or bad workmanship from these folks. I think if I had to pick out the biggest differences between standard windows and replacement windows it would be quality control. The good mid ranged products and higher end windows know it's better to build it once really well and never have to touch it again, as opposed to building something that may have an issue over the long run. 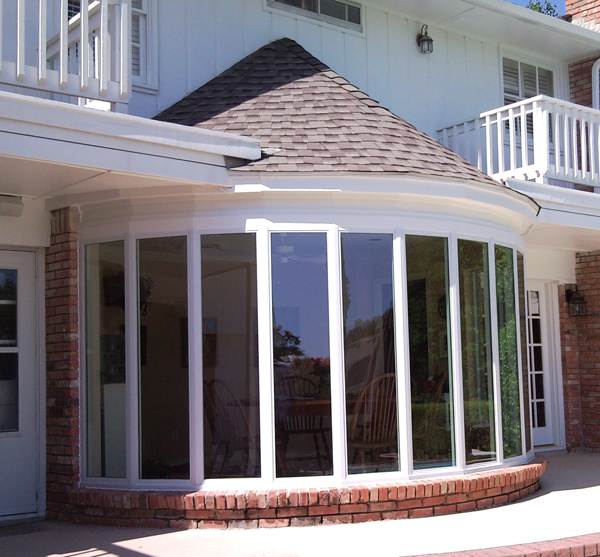 Most all good replacement windows will come with Cardinal 366 Low-E Glass or an equivelent from PPG or Guardian. In its stock replacement windows this provides an amazing .20 or .21 Solar Heat Gain Coeffecient (SHGC) and a U value around. 29 but as low as .26 in the double paned. This product can also be upgraded to a Triple Glazed Replacement Window and can have Krypton Gas instead of Argon Gas. Krypton lowers the U Value with the triple glazing to about .16 from a .29 but the glass package can add $200 per window to cost. NT also makes the Presidential Vinyl Replacement Window as well. They are all very similar as to performance. 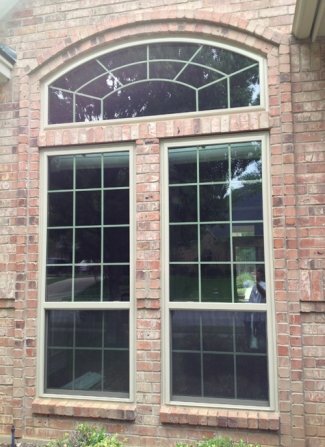 These always make a great choice in Replacement Windows. 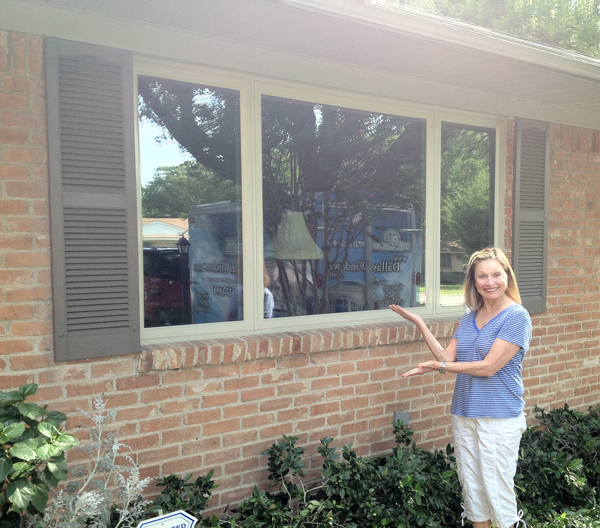 The window swings out and the screen is on the inside of the window for a clean exterior look. It also looks more like wood than any other window available. Interestingly enough the cost is only about $100 to $200 more in cost per window more than the typical vinyl replacement window. This sweet lady was so excited at how the new windows looked she went on a spree and fixed all kinds of things around the house and then thanked me for the motivating windows. I can't guarantee that will happen for you but I'll do my best! A Northern favorite with a soft spot for Dallas! Also a factor if you already have a home that is a bit dark overall. This is really prevalent in replacement windows made of vinyl moreso than aluminum. Wood windows always have massive frame thickness. 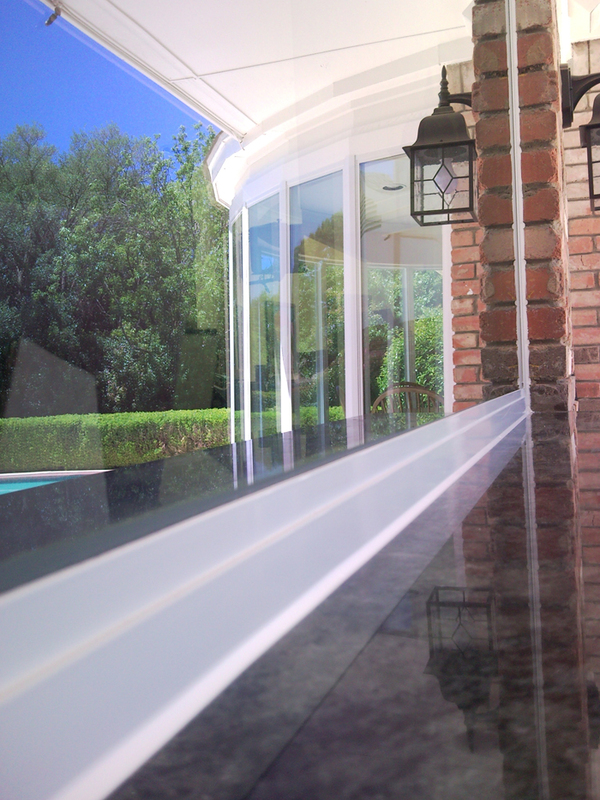 I like this window because the fully extruded screen is a big plus and they have dust covers for the inside tracks. Those are some valuable features. 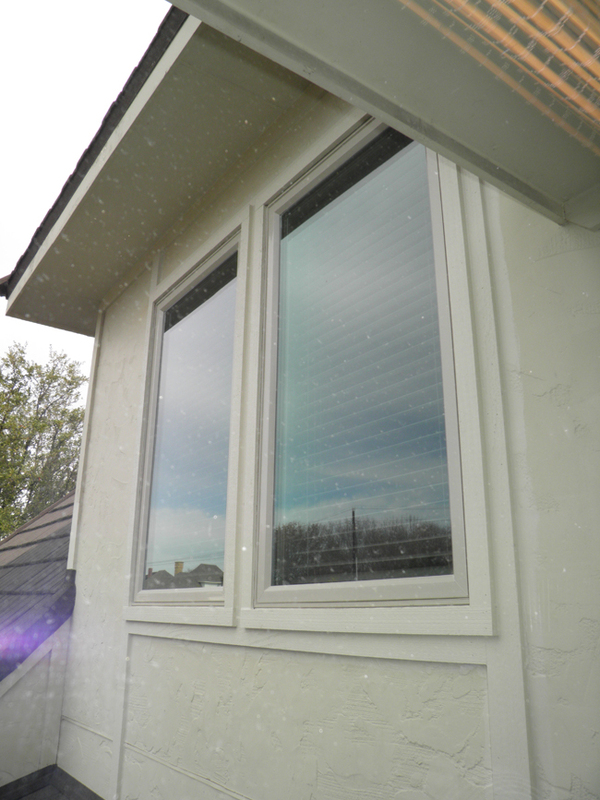 There are lots of little things about any window type and manufacturer that could be a plus or minus depending on who is doing the evaluation.